Come on down and meet & chat with 7 Authors. Books will be available to buy and Authors to sign. Each Author will be speaking at some time during the day (see flyer for times for each Author). Las Vegas & Henderson, come out and do some holiday shopping! I'll be there from 1-3 pm today. Christmas is right around the corner and books make a wonderful gift! 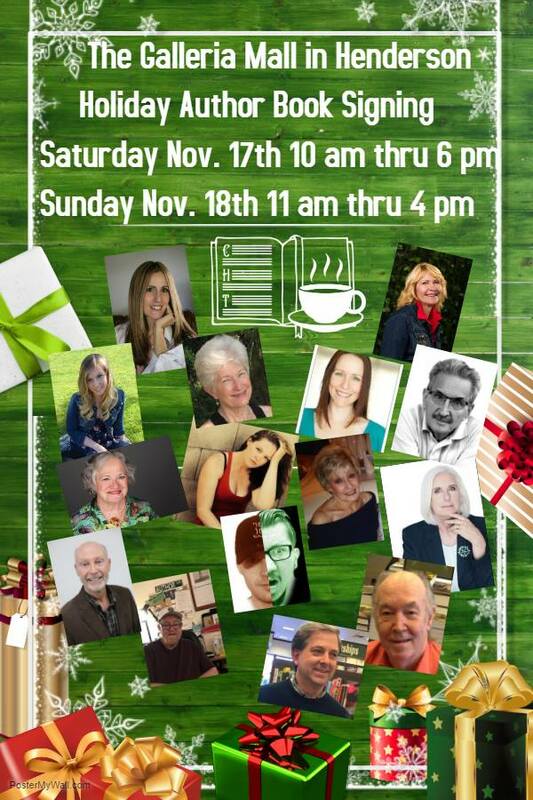 Come meet several Authors and make that gift even greater by having the Author sign the books for you! Christmas is around the corner and books make a great gift! If it is signed by the Author it is even better! Come on down and visit with the Authors! Christmas is right around the corner, books make a great gift and you can have them signed by the Authors! 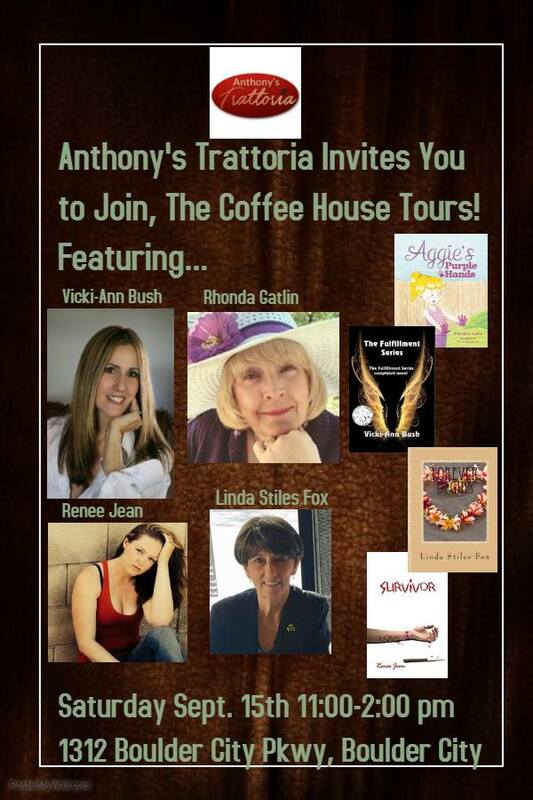 COME ON DOWN AND MEET THE AUTHORS VICKI-ANN BUSH, RHONDA GATLIN, LINDA STILES FOX & RENEE JEAN! Have some coffee with the authors and discuss their books! Come on down and join us on Saturday, June 9th from 10 am to 1 pm at The Coffee Bean and Tea Leaf. Cannot wait to see you all there! Come down and join us on Saturday, June 16th from 1 pm to 4 pm at Barnes and Noble for our Book Affair event! Come join us on Saturday, July 28th from 10 am to 12:30 pm at the Paseo Verde Library. Please come down and join us on Saturday, May 26th from 1-4 pm at 2191 N. Rainbow! We really hope to see you all there!